Today's college students are graduating with unprecedented levels of student loan debt. 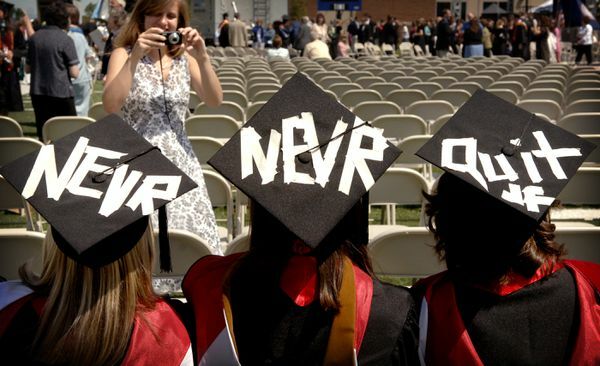 A college education is a pillar in today’s world. It has a direct correlation to an individual’s economic success in life – that is, if they can afford it. College affordability is a major concern for countless young New Jerseyans and their families. Navigating the student loan industry can be frustrating, intimidating and costly. At its inception, the New Jersey College Loan to Assist State Students (NJCLASS) Program was intended to address these very common concerns. Unfortunately, a policy’s impact does not always live up to its intent. In the summer of 2016 the New York Times published an in-depth exposé on the predatory practices of the NJCLASS Program, and ever since, my colleagues and I have been working to address their criticisms. At the end of January the Senate passed the final piece of the reform package to finish addressing the program’s most glaring shortfalls. While standing next to Kevin Corbett, executive director of NJ Transit (left), Gov. 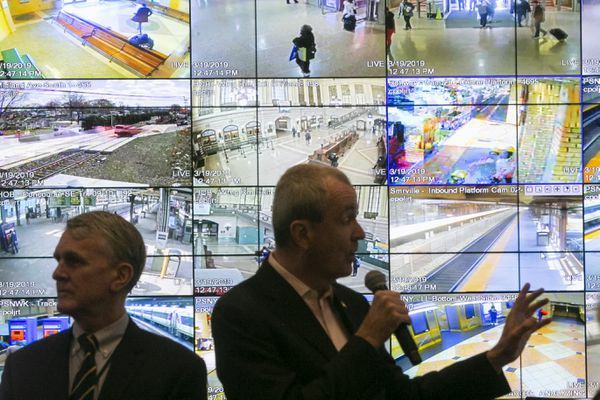 Phil Murphy speaks in NJ Transit's Emergency Operations Center in Maplewood on Tuesday. The center goes into action during storms, special events and disasters. Gov. Phil Murphy said Tuesday he is willing to listen to reasonable requests to increase how much money NJ Transit could receive in his proposed Fiscal Year 2020 state budget after leading Democratic lawmakers questioned if it was enough to help the commuter agency fix its problems and restore suspended service. While he was open to the idea, Murphy cautioned it has to be done in a fiscally responsible way and not cut into the state surplus. Gurbir Grewal, the attorney general of New Jersey, on Monday announced the arrests of four men who are accused of selling homemade guns assembled from parts available online. After hours of closed-door meetings, vocal opposition from the Republican delegation, and severely limited public testimony, state lawmakers voted the newly amended marijuana bill out of both Senate and Assembly committees late on Monday night. The final vote count in the Senate Judiciary committee was six yes, four no, one abstention, and in the Assembly Appropriations committee the bill was voted out six yes, one no and two abstentions. Across the United States, a growing number of incarcerated individuals are being released to face the barriers to reintegration with no support. 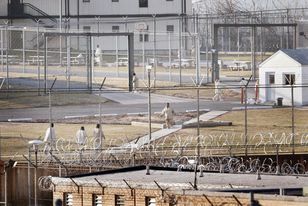 From 1990 to 2012, the number of max-outs – those who serve their entire sentences incarcerated and are released entirely unsupervised – increased by 119 percent, so that according to the latest numbers from Pew Charitable Trusts, the current max out rate across the country is 22 percent. Tragically, New Jersey is at the forefront of this trend. In 2013, the state’s max out rate was 41 percent, nearly twice the national rate and one of the highest rates in the country, and this number has almost certainly continued to rise. And this despite evidence that supervision, and the access to services that it provides, is essential to a successful reentry. Across the country, a statistically significant higher percentage of unsupervised releases than supervised are rearrested within the first year post-release, and supervised releases across the board spend more time in the community without any violations. Numbers from New Jersey tell the same story: most recent statistics from the Department of Corrections indicate that among those released in 2014, within three years post-release 42.7 percent of supervised releases were rearrested, compared to 63.8 percent of max-outs. Needy New Jerseyans may get additional emergency housing aid after all, and Gov. Phil Murphy appears to have sidestepped a potentially embarrassing veto override, as the state Senate on Thursday passed two anti-homelessness measures as part of a compromise with the governor. The passage of S-3586 by a bipartisan 34-0 vote meets a deadline imposed last month by Sen. President Steve Sweeney (D-Gloucester) after Murphy vetoed his bill to allow most recipients of cash public assistance, formerly called welfare, to be eligible for aid to avert homelessness once every seven years. Currently, they can get only one 12-to-18-month block of emergency payments over a lifetime. Also passed was a companion bill (S-3585) to create a new state homelessness prevention office, which Murphy sought as part of the compromise with Sweeney. House Speaker Nancy Pelosi, D-Calif., left, listens to the life story of Jesica Garcia, center, from the Los Angeles area, as House Democrats introduce the Dream and Promise Act at the Capitol on March 12, 2019. WASHINGTON — Rey Amaya, a sophomore engineering student at Fairleigh Dickinson University, is in line for an internship this summer. But the job lasts until the end of August and Amaya has no assurances he will be able to remain in the U.S. that long. He’s applied to renew his status under the Deferred Action for Childhood Arrivals program (better known as DACA) that the federal courts so far have blocked President Donald Trump from doing away with. But he doesn’t know the outcome. Brought to the country at age 5 from El Salvador, Amaya, 19, grew up in the U.S. but could face deportation if Trump gets his way. President Donald Trump, in his new budget this week, puts in zero dollars for the Gateway Tunnel project. “We all know Donald Trump has been standing in the way,” said Senate Minority Leader Chuck Schumer of New York. Tuesday, Schumer and New Jersey’s two U.S. senators expressed their displeasure. “This project is going to happen. The question is whether or not the Trump administration will work with us to make it happen,” Sen. Bob Menendez (D-NJ) said. “Whatever it takes, we’ll name this the Trump Tunnel if necessary. I don’t care. This is not about ego, this is about the people of the region, it is about the economy of the region, it’s about our nation as a whole,” Sen. Cory Booker (D-NJ) said. (L to R): North Ward homeowner Kristin Burks-Mullings stands with Newark Mayor Ras Baraka and state Department of Environmental Protection Commissioner Catherine McCabe. NEWARK, NJ - An eight-year program that will replace about 15,000 lead service lines for Newark homeowners started today with a bit of fanfare. Newark Mayor Ras Baraka and State Department of Environmental Protection Commissioner Catherine McCabe stood with subcontractors in front of a North Ward home to break ground on the first phase of the program, which will target 1,500 homes with lead service lines.